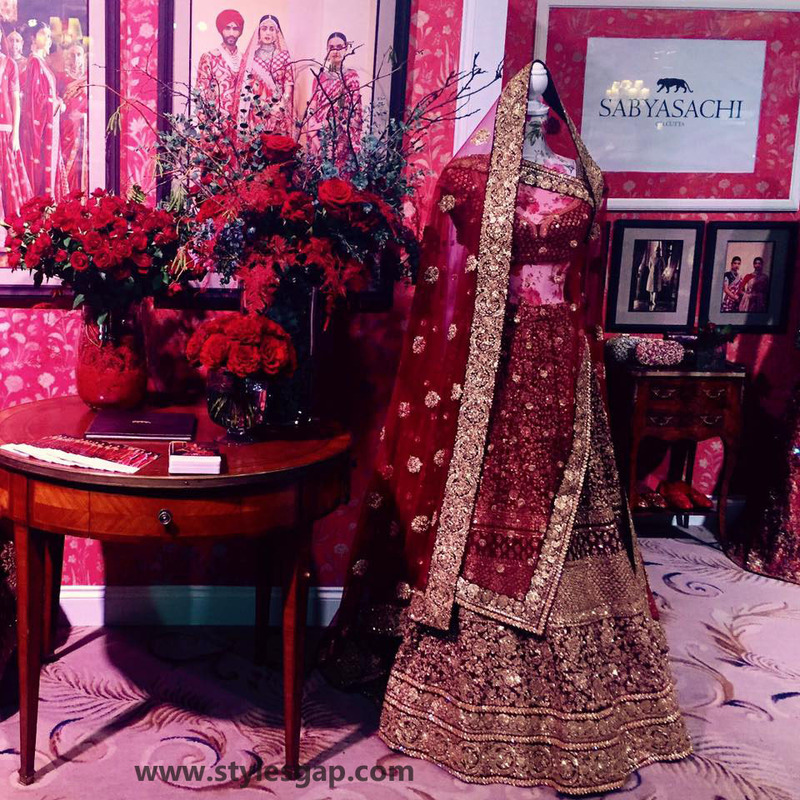 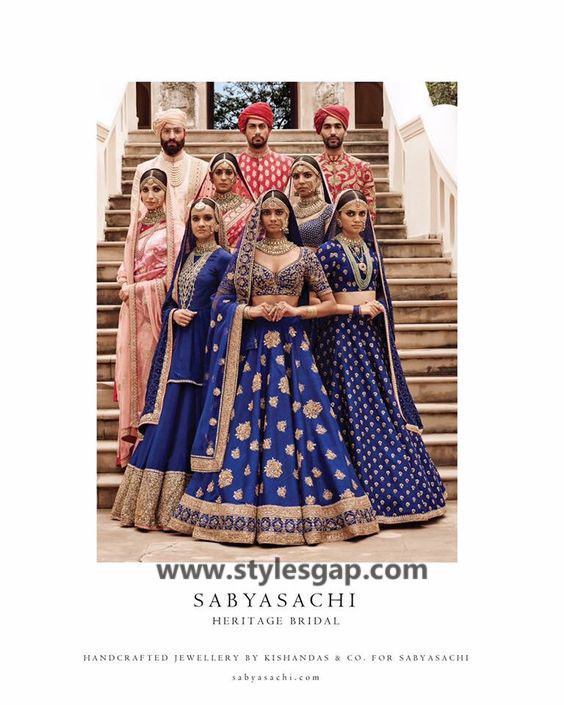 The wedding season of this year took the start marked with all the shimmers and glitz of latest wedding couture designed by Sabyaschhi Mukherjee. 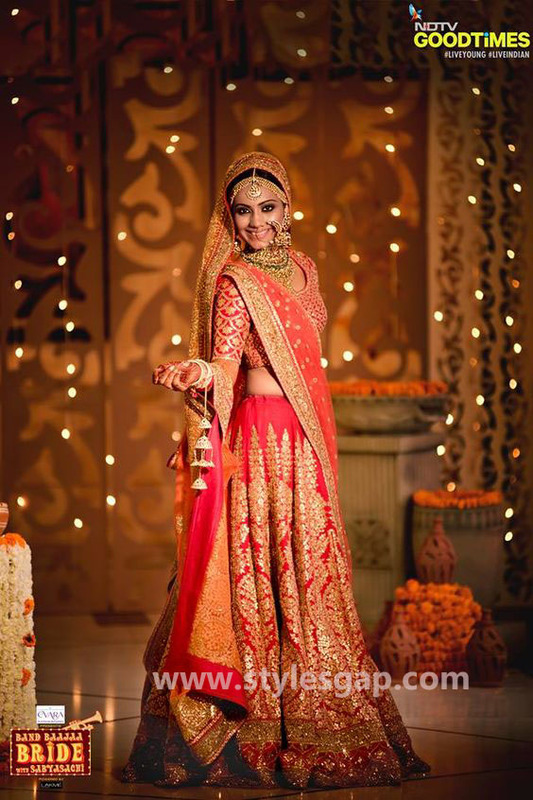 Across the continent, Mukherjee is famous for his ethnic designs for alluring wedding apparels. 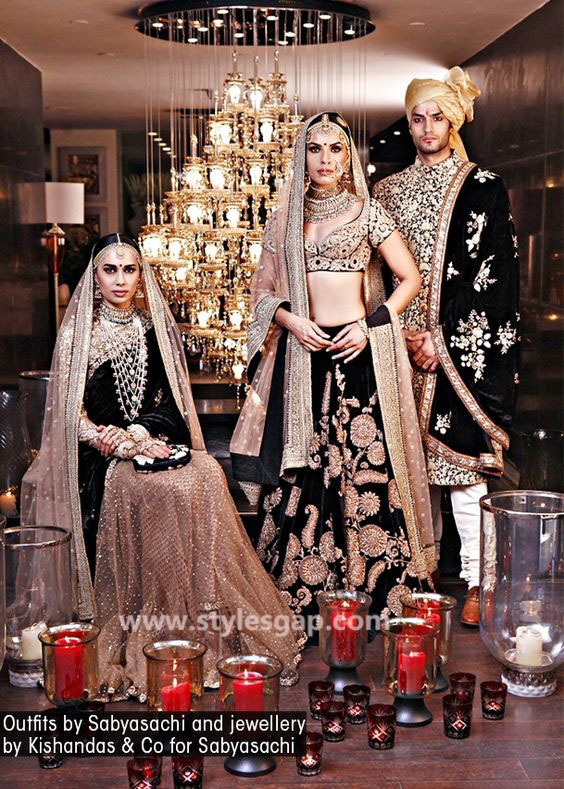 He enlightens the traditional ethnicity of the bridal dresses in a most graceful way. 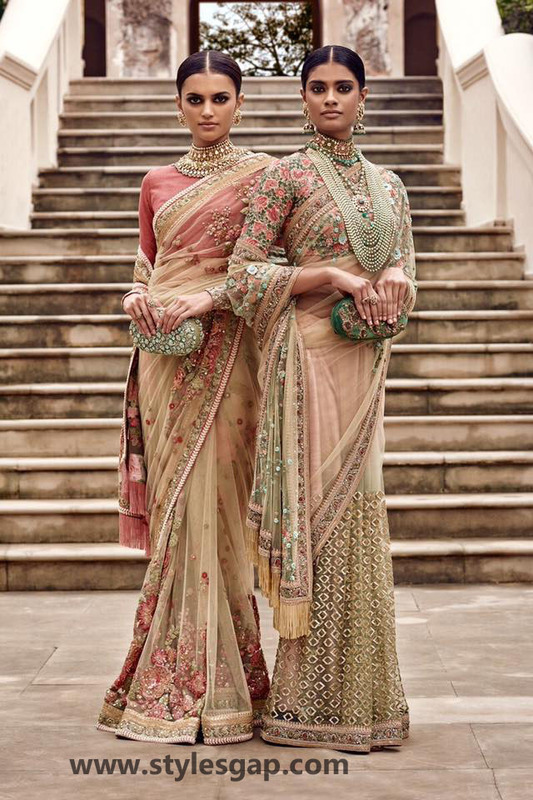 Mukherjee ignites the beauty of his collection by adding such appealing hues and contrasts that one can never get enough of it. 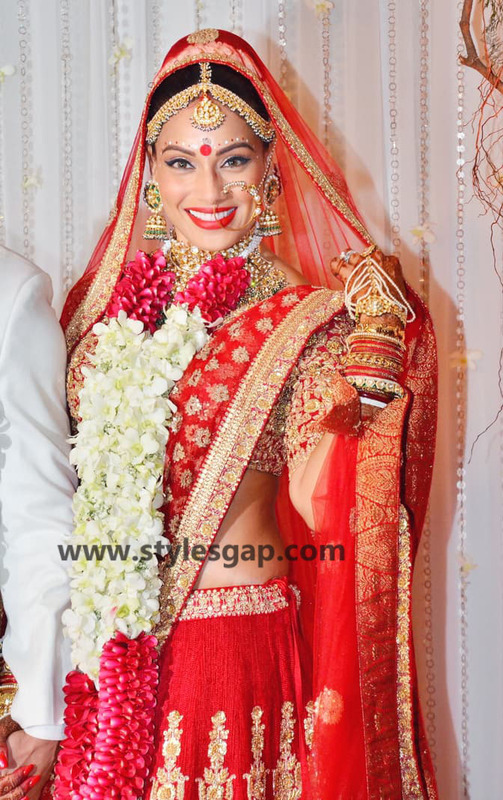 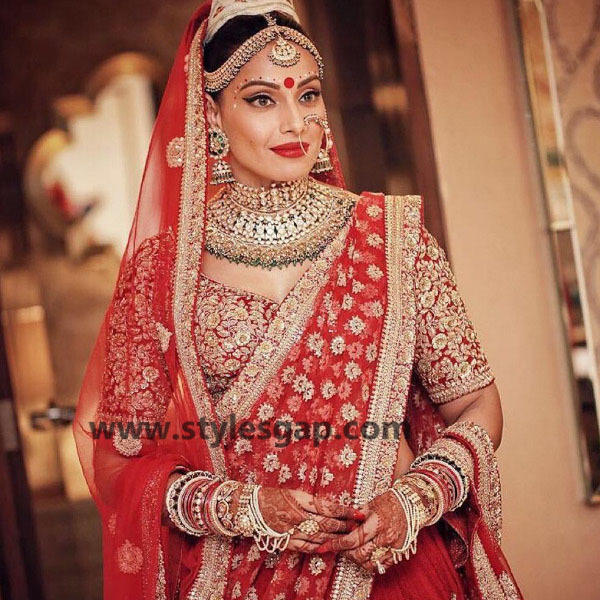 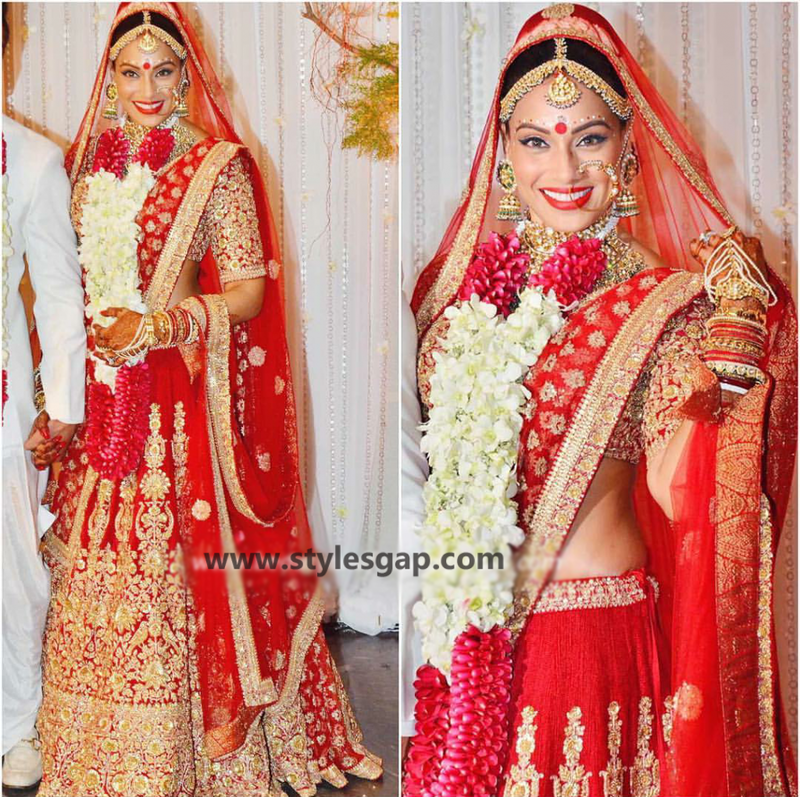 Even the famous Indian celebrities were seen wearing Sabyaschhi latest wedding dresses on their big day like Bipasha Basu. 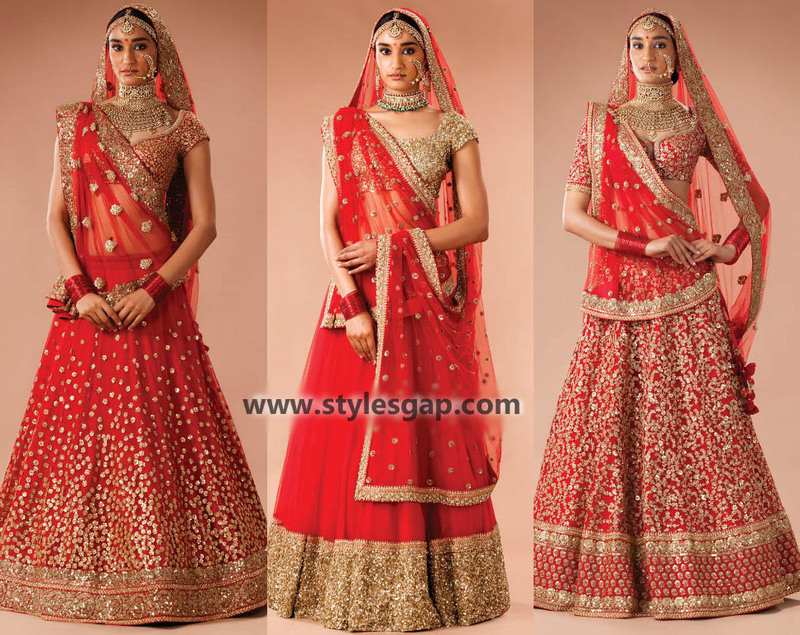 The beautiful red dress for barat and the ivory gown dress for the reception were simply amazing. 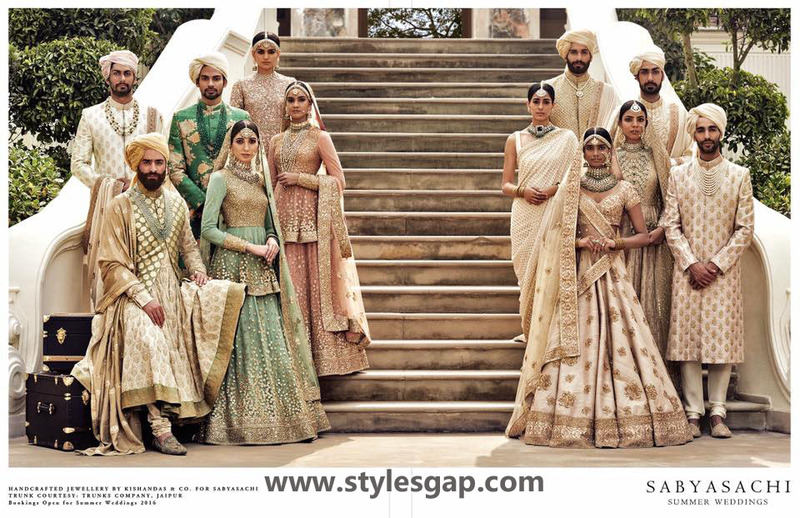 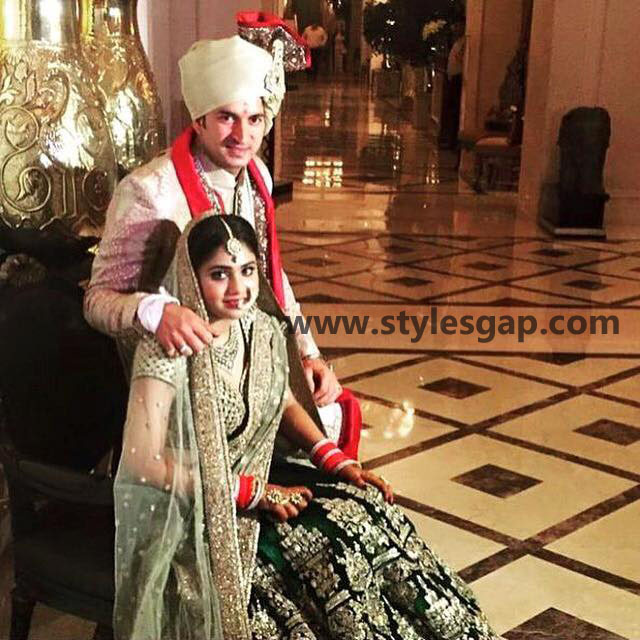 Today we will share the Sabyasachi Mukherjee Latest Wedding Dresses. 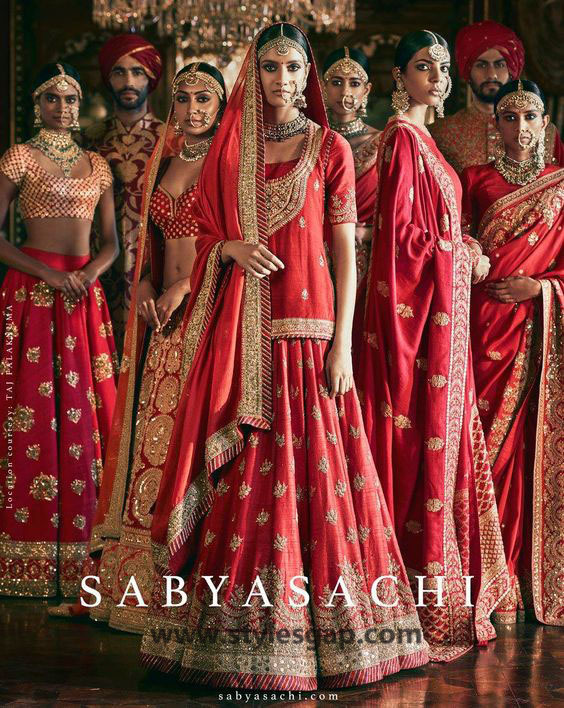 As we proceed, we are going to provide you more than the few glimpses of the latest wedding collection by Sabyaschhi named as the “eternal heritage.” The collection focuses bridal lehengas with crop tops whereas bridal sarees and bridal gowns were equally added to the couture to cater the needs of all types of brides from India and across the border. 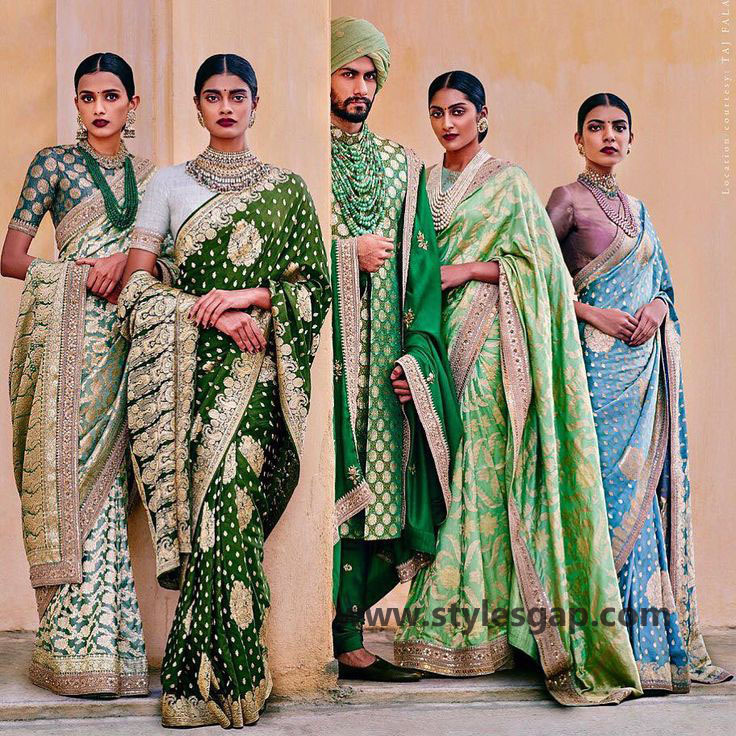 Mukherjee has hit the spotlight of every international fashion week and gained much success for his eternal heritage collection so much that it has now become the cover of every fashion magazine of India. 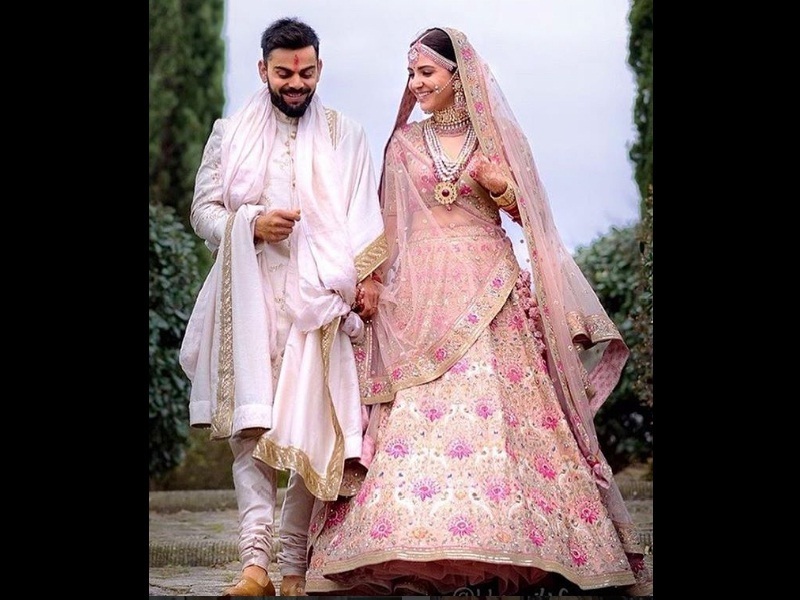 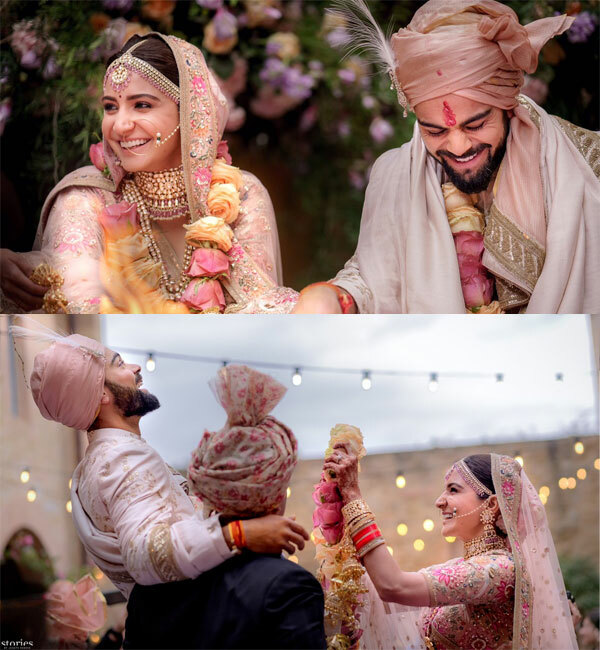 Recently Anushka Sharma was seen in Sabyasachi dress in her wedding with Virat Kohli. 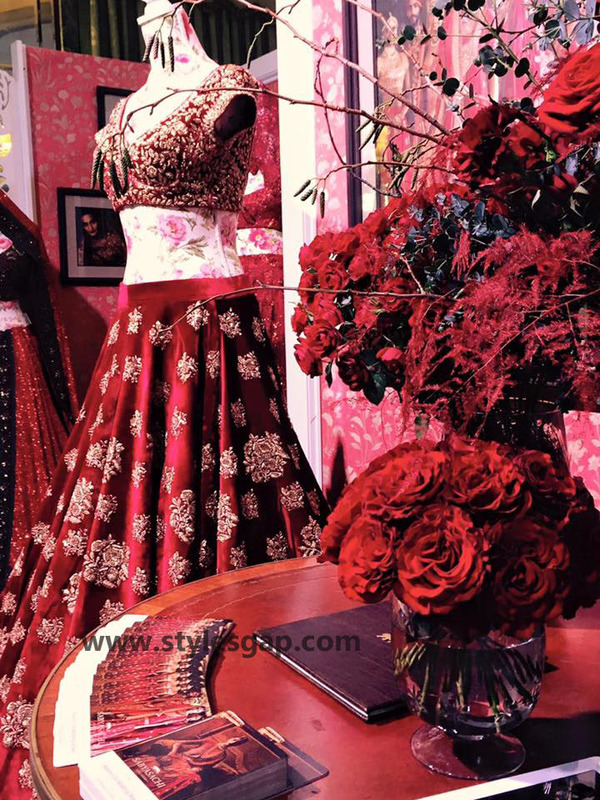 The lehenga collection out of this couture took the supreme popularity due to the elegance of its sheer beauty. 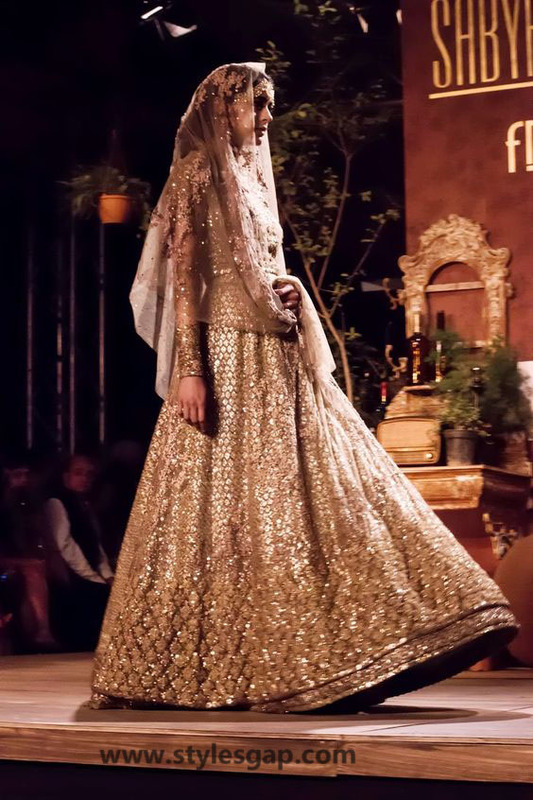 The embellishments cover all sorts of adornments including work of tilla, dabka, zardozi and zari. 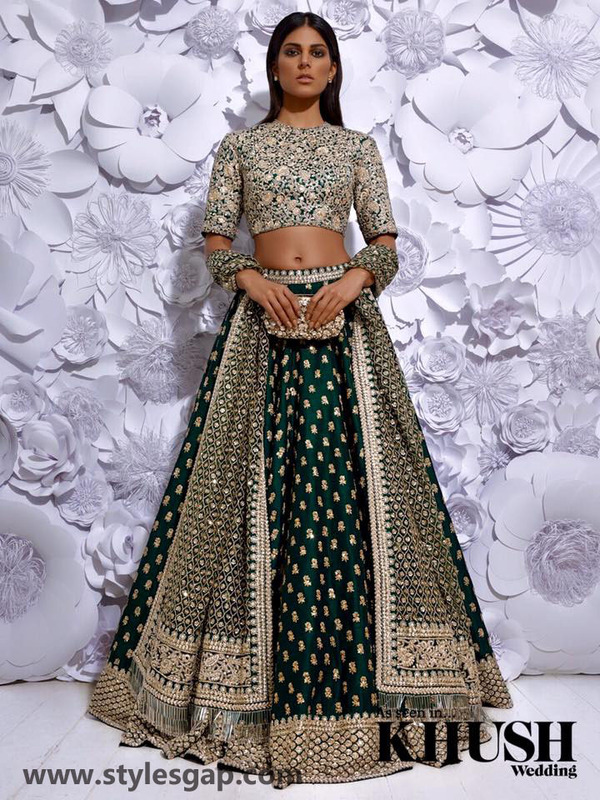 The lehengas carry more than the traditional volume lehengas, which make them complement perfectly the crop top designed with them. 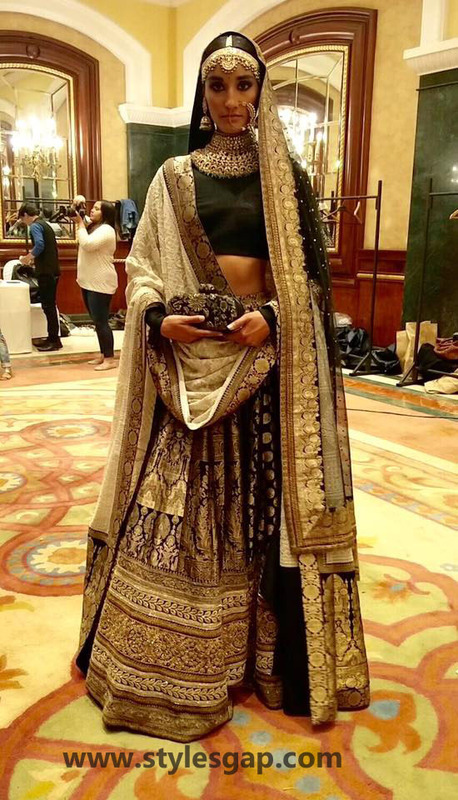 The borders of the lehengas are heavily embellished as seen in the pictures down below, magnificent work in silver and gold highlights the cuts and edges of the entire outfit. 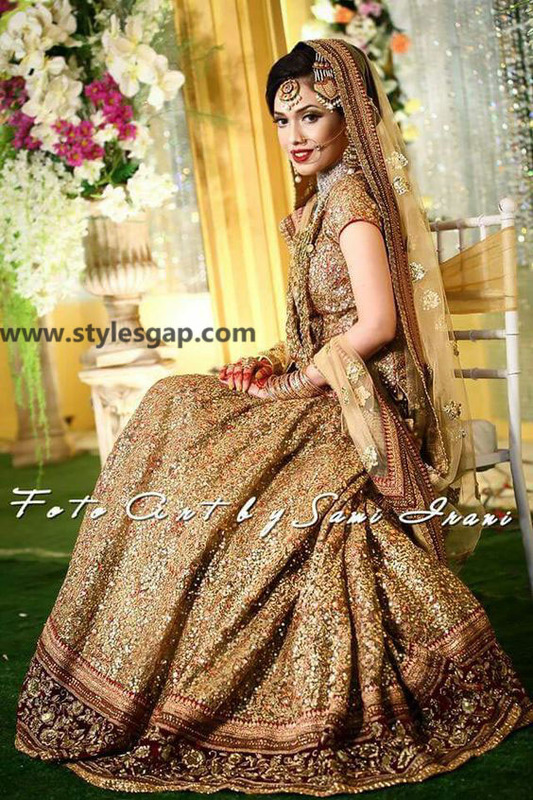 Chiffon, Resham, and jamawar fabrics are mostly used in the dresses. 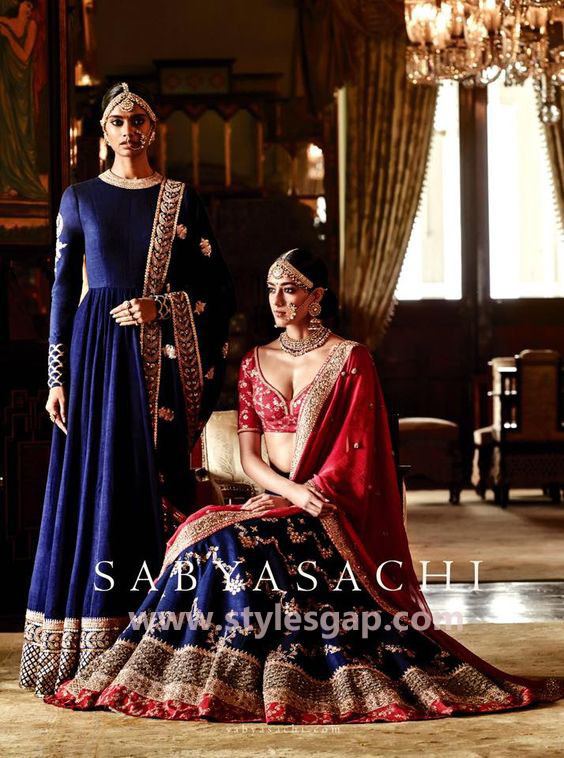 The wedding gowns created under the label of Sabyaschhi Mukherjee carry such prestige that they will make your precious a memorable one. 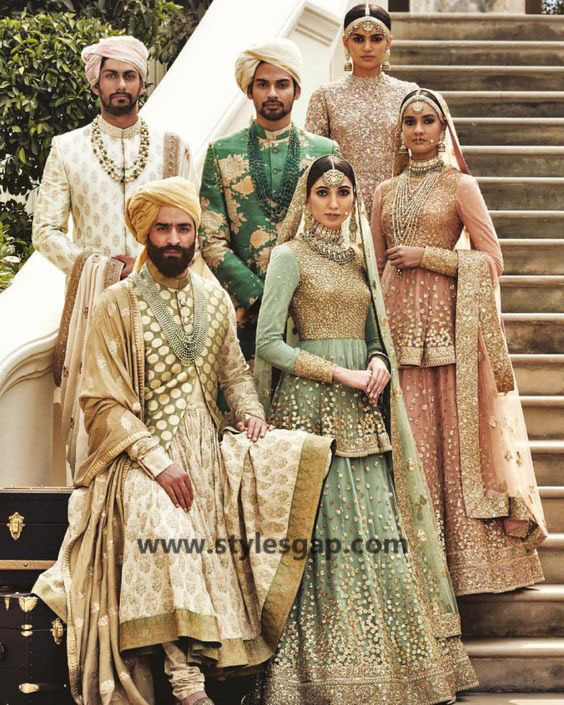 These gowns are available in diffusing light pastel colors, which are perfect for the wedding receptions or Walima. 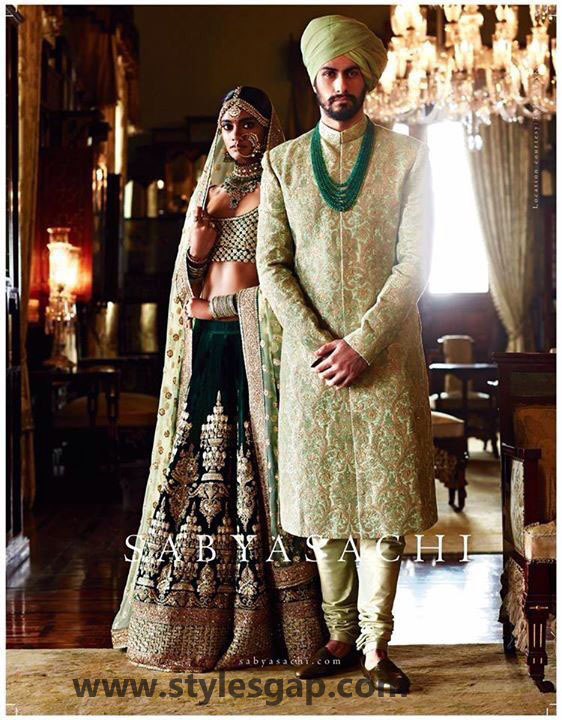 The embellishments are though heavy but are arranged according to the comfort of carrying the dress. 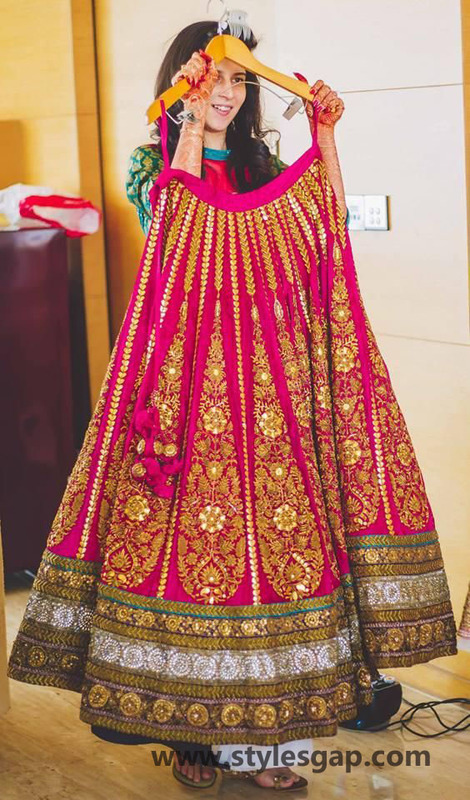 Available in beige, salmon pink, blue, red and ivory all gowns has the tons of flower work embroidery covering the front and back. 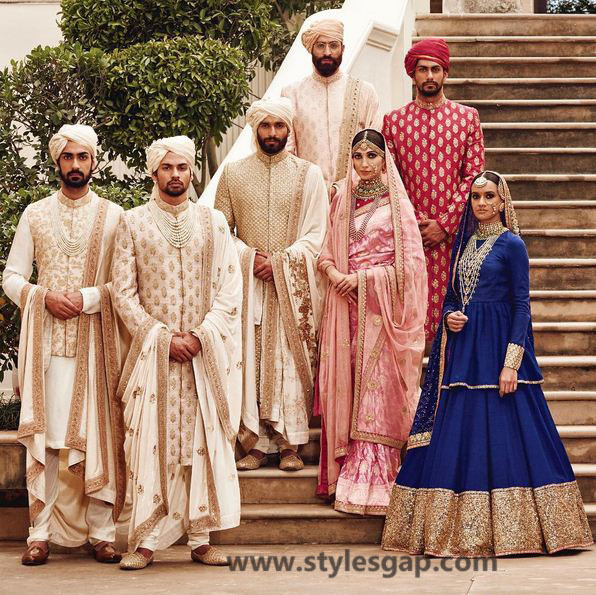 These gowns are mostly designed in long-tailed style with an added volume at the bottom. 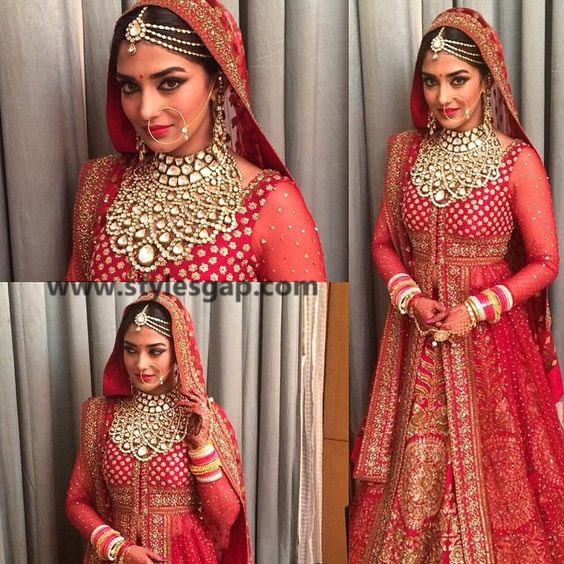 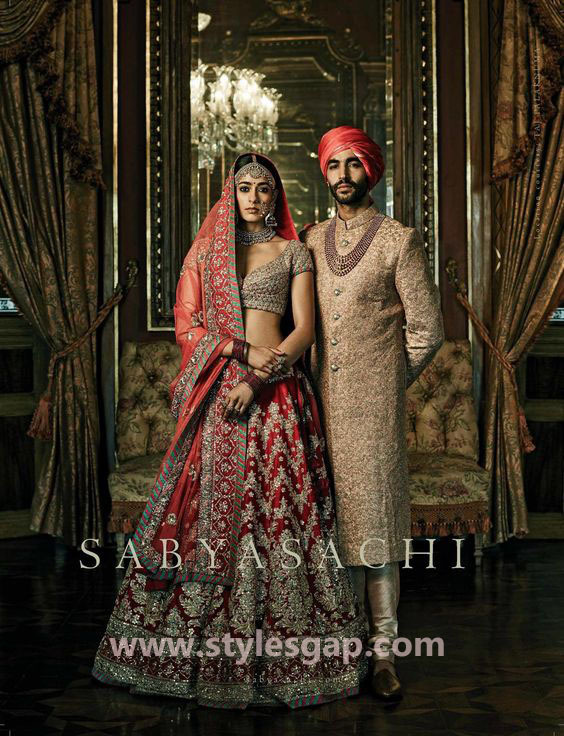 we are posting some of the best Sabyasachi Mukherjee Latest Wedding Dresses. 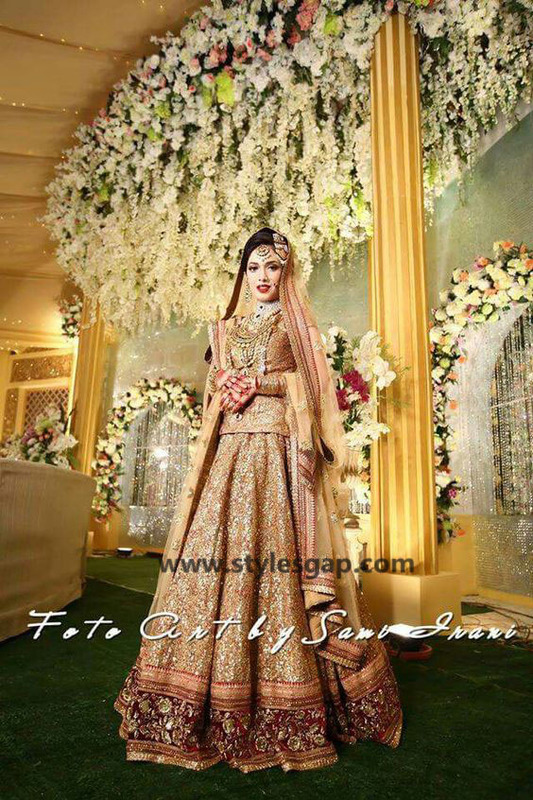 Sarees are the crux of every wedding occasion in India and even now they are equally loved in Pakistan. 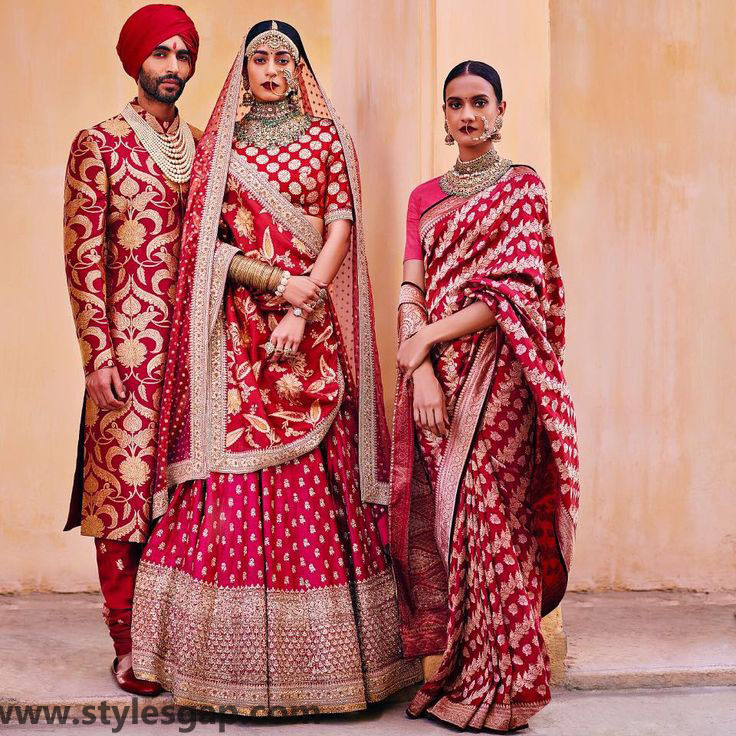 Mukherjee Sarees touched the height of sheer elegance and decency. 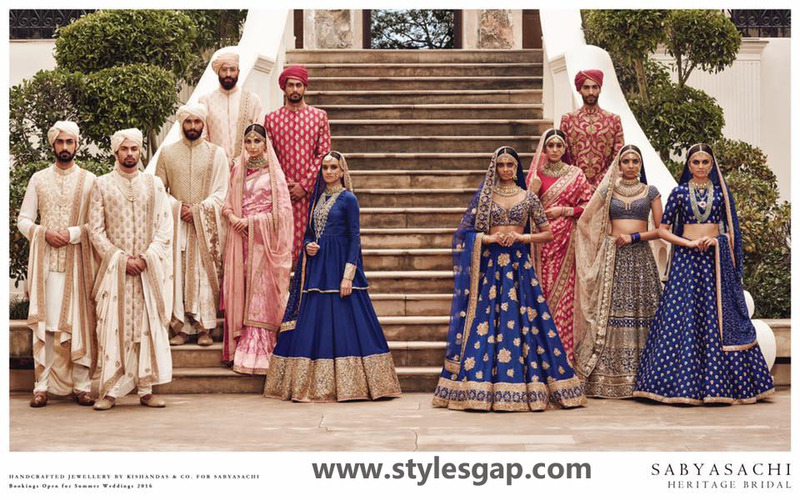 The hues selected from the palate are extremely soft, and an eye was captivating. 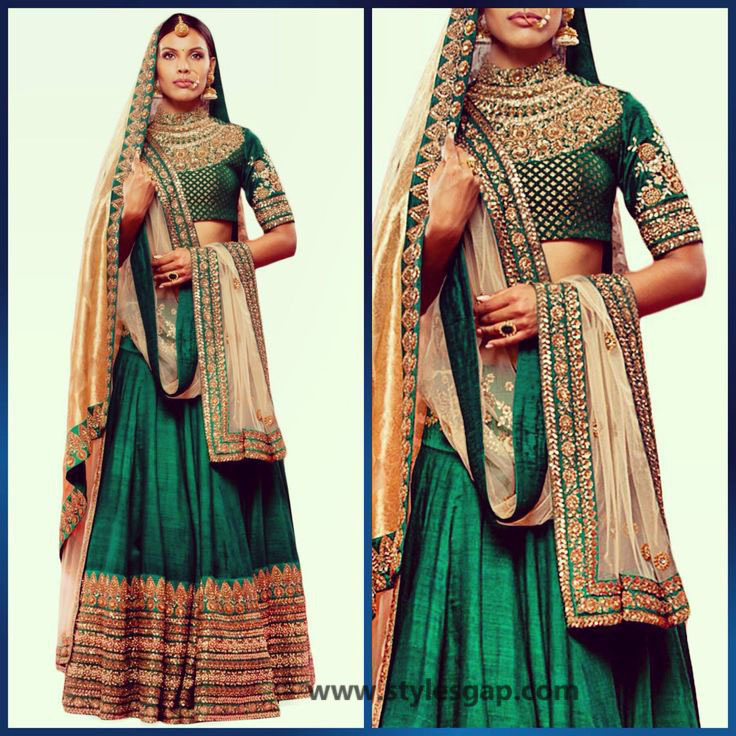 These sarees are embellished with fine adornments on net and chiffon. 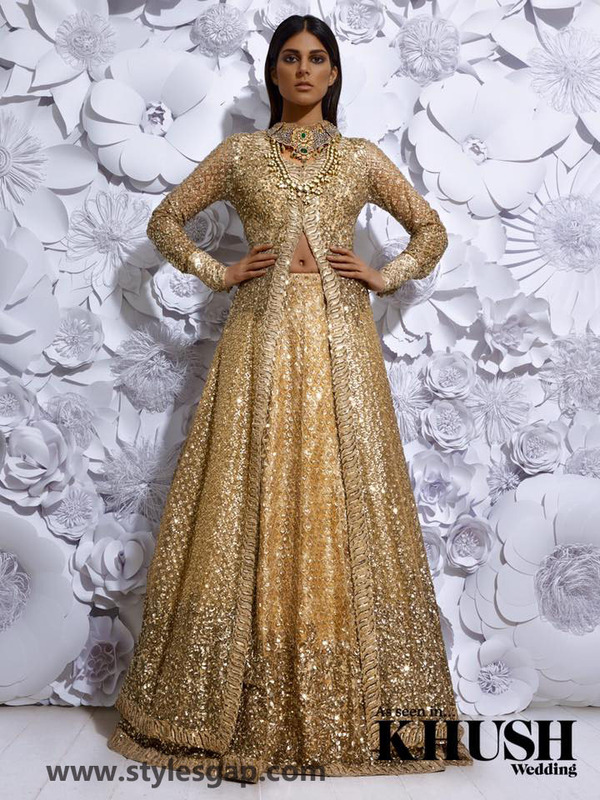 Heavy work in gold, ivory and metallic silver brings life to the dress. 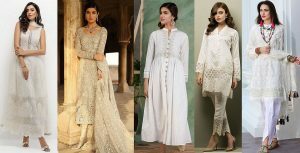 The blouses have the range of hues including the dark burgundy, pastel peach and pink, green with ivory, blue with ivory and much more.